At Wednesday, 2012-08-15 05:00 am, the work began. Four hours of downtime later at 09:00 am the upgrade was complete. Two brand new identical HP DL380 Gen8 servers with 400GB SSD-disks and 192GB RAM are now serving our customers. This was one of the most nervous moments in my life, a revert would have been impossible once the API was brought back online. Luckily, it turned out we had done a decent job testing everything, only a few glitches caused some minor problems during the following hours. Many thanks to Magnus Hagander from Redpill Linpro who helped out with the upgrade. I had never seen pg_basebackup in action before, impressive, very user-friendly, it even had a nice progress bar! 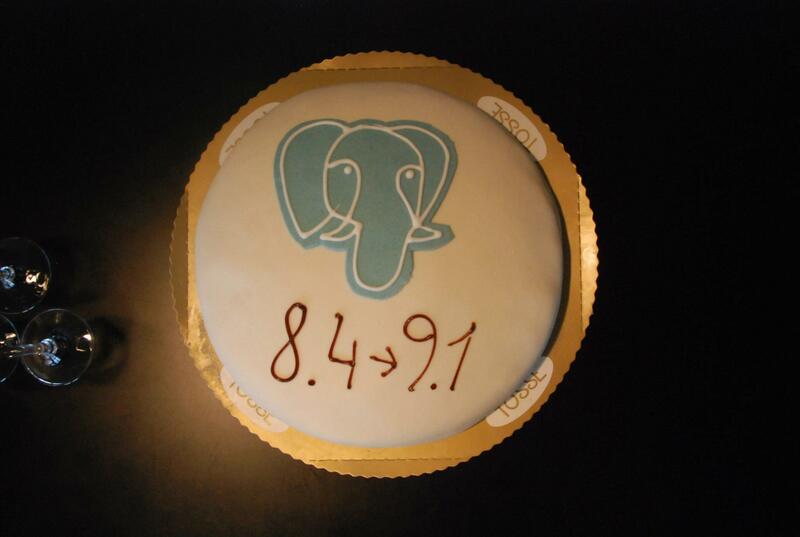 Trustly Group AB is a very PostgreSQL centric payment company, so a moment like this of course called for some cake and champagne! It’s been very frustrating to see all new cool features in 9.0 and 9.1, while being stuck at 8.4.